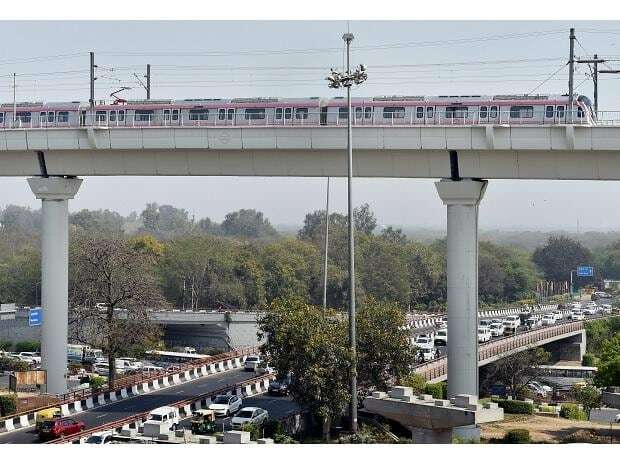 Delhi Metro Rail Corporation (DMRC) has announced on Monday that first coach in the moving direction of all trains will be reserved for ladies from January 1, 2019, except the Red Line. The new system has been introduced to ensure more convenience and smooth transition to commuters and maintain uniformity among all the metro stations across the DMRC network. The similar measure will also be implemented in the Red Line as well once it is extended up to Ghaziabad, said DMRC. Till 2018, the first and the last coach at the terminal stations of Line 1 (Red Line-Dilshad Garden to Rithala), Line 5 (Green Line- Inderlok/Kirti Nagar to Brig. Hoshiar Singh), Line 6 (Violet Line- Kashmere Gate to Raja Nahar Singh), Line 7 (Pink Line- Majlis Park to Mayur Vihar Pkt-1 and Trilokpuri-Sanjay Lake to Shiv Vihar) and Line 8 (Magenta Line-Botanical Garden to Janakpuri West) were alternately used as ladies coach in the Up and Down lines, respectively. DMRC also stated that the floor graphics and the 'Women Only' hanging signages are being relocated accordingly at all the stations of these lines. "On rest of the Corridors (Line 2 and Line-3/4), the first coach on both Up and Down directions was already used as the 'Women Only' coach and will continue to remain so", the official added.